To celebrate the release of Sessions Vol. 1, Slow Wave Saga together with Hit Records is offering a free download of the single Nefarious. Nefarious was recorded at the Harbourside Institute of Technology studios in North Vancouver and produced by former student and honours graduate Mike Slater where he worked with heavy-weight team of Mike Rogerson (Green Day, Goo Goo Dolls, Sheryl Crowe) and Sam Ryan (Nirvana, Soundgarden). Slow Wave Saga is a Vancouver based three-piece alternative rock/metal act featuring Erik Leonhard (vocals/guitar), Mike Slater (drums), and Mark Slater (bass). The name is a reference to REM-sleep, the stage of sleep in which we humans experience vivid dreams… and nightmares. Indeed, light and dark, dreams and nightmares, these are what characterize the dynamic sounds of Slow Wave Saga. Sessions Vol. 1 is a compilation of various artists, from pop, indie rock, to reggae and electronic that celebrates the writing, producing and engineering skills of graduates from the Advanced Recording Artist (ARA) program at the Harbourside Institute of Technology and showcases some of the brightest new artists on the scene today. Sessions Vol. 1 will be available worldwide on iTunes and in stores across Canada on Tuesday, June 21, 2011. Alan Cross of Exploremusic.com sits down for a chat with Carmen Townsend. For you out of towners who might like to be there in spirit by making a donation (not matter how big or small) here's a link. 100% of proceeds go towards replacing our equipment that was recently stolen. 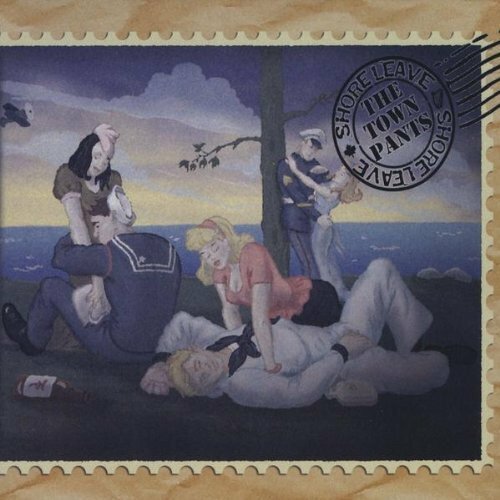 Shore Leave is the latest album by the great Vancouver Celtic Rock band The Town Pants. Shore leave is what happens when sailors put into port and got out to party. This is a party album for sure. Drinking in the Graveyard is, hands down, the best ghost story I’ve ever heard. Death Feels Like Me Today is about a place we can probably all recognize. 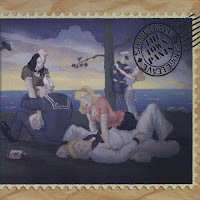 Songs about hard drinking sailors and actors are joined by a song about their hometown called Rainville, a lovelorn ballad called Angel and a celt rock version of Iron Maiden’s Run for the Hills. Trains Not Taken is based on the short story by Joe R Lansdale. This album takes you out of your here and now and sends you on your own shore leave. 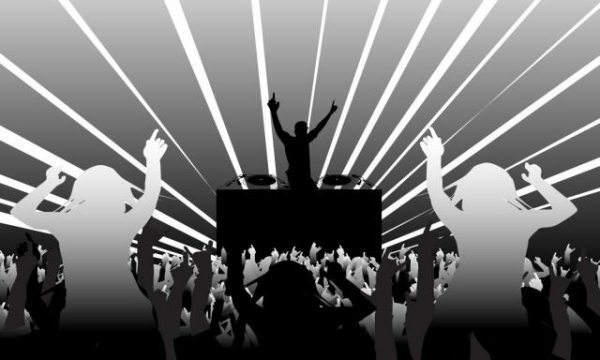 It’s a lot of fun and great music. You’ll be singing along with this one. I really liked every song on this album but the idea of drinking in a graveyard with famous authors, inventors, actors and explorers is such a delicious idea that this one has to be my favorite although Trains Not Taken is a very close second. You’ve absolutely earned your shore leave. Go get this album and enjoy it! "One of Canada's premiere Audio Engineering and Music Production schools partners with award winning independent record label to give future producers and artists a unique one-of-a-kind opportunity"
1 week ago by Adam Morrison | May 25, 2011 9:00 amAfter fifteen years of playing in rock bands in big cities across Canada, Carmen Townsend returned to her hometown of Cape Breton, Nova Scotia, to nurture her own sound. Her long-awaited debut album, Waitin’ and Seein’, was produced by Violent Femmes’ Gordon Gano and tracked at Carriage House Studios in Connecticut and Soundpark Studios in Cape Breton. Listen to the album’s opening track, the rollicking “River Rat,” right-click here to download an MP3 of the track, and click here to check out Carmen Townsend’s official site.